Not sure what part of “temporary” or “no judicial review” US District Court Judge Edward Chen doesn’t understand. The good judge has joined the ranks of federal judges in the “resistance” and decided to make up his own law in issuing an injunction halting another effort of the Trump Administration to enforce the law as written. Chen, a U.S. district judge in San Francisco, has substituted his judgment for that of our constitutionally elected executive in regard to the Trump administration’s decision to rescind temporary protected status (TPS) for hundreds of thousands of immigrants. He did this in defiance of a clear directive from Congress. TPS is a form of temporary (lasting for only a limited period of time; not permanent) humanitarian relief granted to citizens of countries devastated by natural disasters or war that allows beneficiaries to work legally while they remain in the U.S. Created in 1990, the program applies to people from 10 countries. Some people have benefited from TPS for over 20 years. On October 3, 2018, in Ramos, et al v. Nielsen, the United States District Court for the Northern District of California enjoined the Department of Homeland Security from implementing and enforcing the decisions to terminate Temporary Protected Status for Sudan, Haiti, El Salvador, and Nicaragua, pending further resolution of the case. Recently the government has made various determinations that the “temporary” circumstances in those countries have been resolved and that citizens of those countries would no longer have the privileges associated with TPS. Whether this is good policy or correct analysis on the part of the executive branch is simply not within Judge Chen’s legal authority to decide. (5) Review (A) Designations There is no judicial review of any determination of the Attorney General with respect to the designation, or termination or extension of a designation, of a foreign state under this subsection. (Emphasis added). 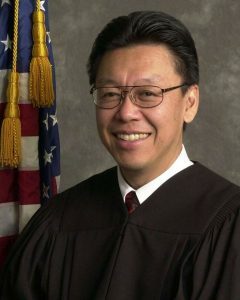 In his opinion, Judge Chen quotes the above section of the law, and then simply says he is free to ignore it: “… the Court previously held that this provision does not bar the Court from considering Plaintiffs’ particular claims brought in the instant case…” Chen boldly declares he has the authority to ignore Congress and conduct a “judicial review” that he has been expressly barred from conducting. Judge Chen and the other judges around the country entertaining similar lawsuits should have read the plain language of the law and cited “no judicial review of any determination” followed by a prompt dismissal of the cases. These judges are not applying the law, they are making it up to suit their own policy preferences. They are in fact “lawless”. The proper, legal and constitutional recourse for those who disagree with the policies chosen by Congress and the Executive is not to ask judges to create law, but to petition the political branches to change the law. The courts have become the preferred forum for those unable to achieve their policies through the political process. The conduct of these judges goes a long way to explain the depth of the battle over Justice Kavanaugh’s appointment to the Supreme Court. Kavanaugh’s judicial opinions express an attitude of judicial restraint and adherence to both constitutional and statutory law as written. This deprives those who wish to circumvent the political process of an avenue which lawless judges like Chen provide.